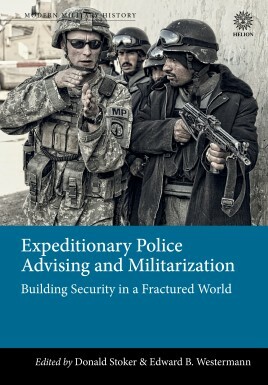 This original edited volume draws upon the latest work of a global cast of scholars and practitioners in several fields to examine the history, evolution and lessons of previous expeditionary police advising missions. Since the end of the Cold War, there has been an explosion of efforts to build modern police forces in other lands via dispatching police advisory missions. There is much to be learned from these recent efforts, but there are equally valuable lessons to be gathered by examining the breadth of a practice that, surprisingly to most, dates to the end of the 19th century. Donald Stoker PhD is Professor of Strategy and Policy for the US Naval War College’s Monterey Program at the Naval Postgraduate School in Monterey, California. The author or editor of seven books, his most recent work - Carl von Clausewitz: His Life and Work (Oxford University Press, 2014) - is on the British Army's professional reading list. His The Grand Design: Strategy and the U.S. Civil War, 1861-1865 (Oxford University Press, 2010) won the prestigious Fletcher Pratt Award for 'Best Non-Fiction Civil War Book' of 2010, and was a 'Main Selection' of the History Book Club; it is commonly used as a text in graduate seminars and strategic studies courses. 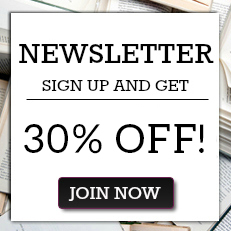 His other works include a co-edited volume on strategy in the American Revolutionary War and he has edited or co-edited books on military advising, conscription and the arms trade. He has written for numerous magazines, such as MHQ (Military History Quarterly), North & South and Naval History. In 2016, he was a Fellow of the Changing Character of War Programme at the University of Oxford’s Pembroke College. He is currently writing a book on limited war and also co-editing several books on advising, as well as other topics. Edward B. Westermann is a professor of history at Texas A&M University–San Antonio. A former USAF pilot, he was a Professor of Comparative Military Theory at the School of Advanced Air and Space Studies at Maxwell A.F.B. in Alabama and a Professor of Military Strategy at the U.S. Air Force Academy. He teaches courses on European History, the Holocaust, and War and Society. He has been a Fulbright Fellow, a German Academic Exchange Service Fellow, and a Fellow at the US Holocaust Memorial Museum. He is the author of numerous publications including Hitler’s Police Battalions: Enforcing Racial War in the East and Flak: German Anti-Aircraft Defenses, 1914–1945. His latest book, Hitler’s Ostkrieg and the Indian Wars: Comparing Conquest and Genocide, was published in 2016.